When the Buffalo Bisons announced naming rights for its home stadium had shifted from Coca-Cola to Sahlen's, it was safe to expect concessions would take a porky turn. Sahlen's hot dogs have been sold at the ballpark since 2012, but the local company's array of products will be far more visible this year, with the return of footlong hot dogs after a six-year hiatus, a new option for all-beef franks and the debut of a Italian hot ham sandwich, which wasn't bashful in heat. 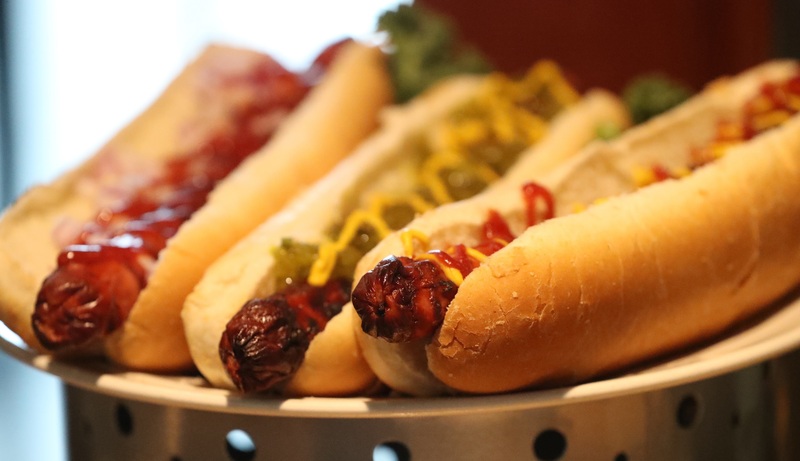 Rivaling the Sahlen's additions for biggest news is an appeal to voracious appetites at Consumer's Pub at the Park, the former Pettibones Grille on the third level of Sahlen Field, accessible from the Washington Street entrance by elevator. A Bisons Ballpark Buffet, which begins two hours before every game, is all-you-can-eat with a menu that rotates depending on the opponent, theme night or inspiration by a Bisons player. (If Vlad Guerrero Jr. gets to lay out his own Dominican menu, we're in). Fried chicken, a carving station for roast beef, chicken wings, and macaroni and cheese were all present in the team's media preview gathering. 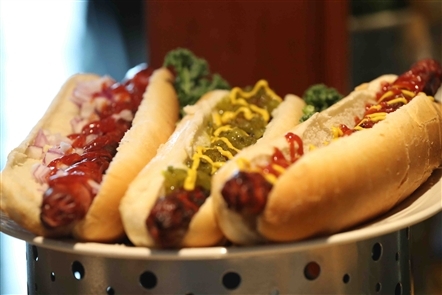 Tying back in with Sahlen's is a station for hot dog toppings at the buffet, with red onions, ketchup, chili, mustard, sauerkraut, cheese sauce and a relish-like slaw all options. 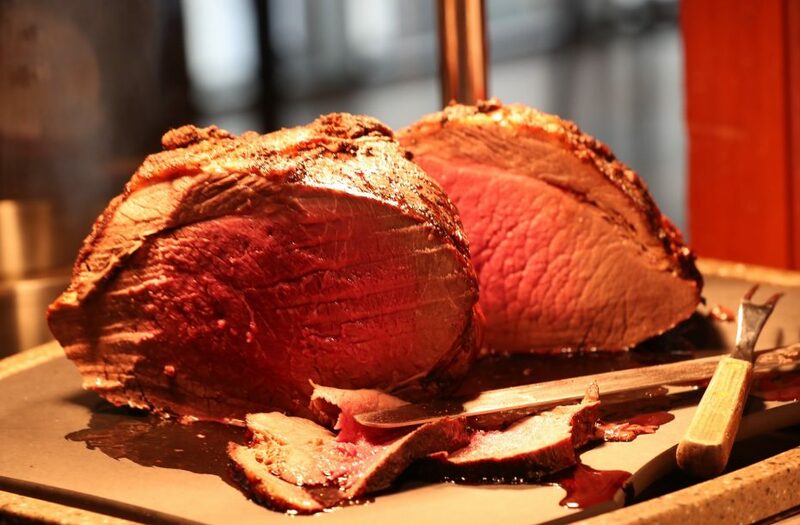 For fans who already have a ticket to a game, the buffet costs $19.95 for adults and $10.95 for children 12 years and younger; reservations are needed for this group by calling 846-2100. A "Buffet-Game Ticket" combo costs $29 for adults and $18 for children; no need to call for reservations with this ticket. In general concessions, a healthy addition is the Beyond Burger, a national brand touting vegan "burgers" made entirely from plants. 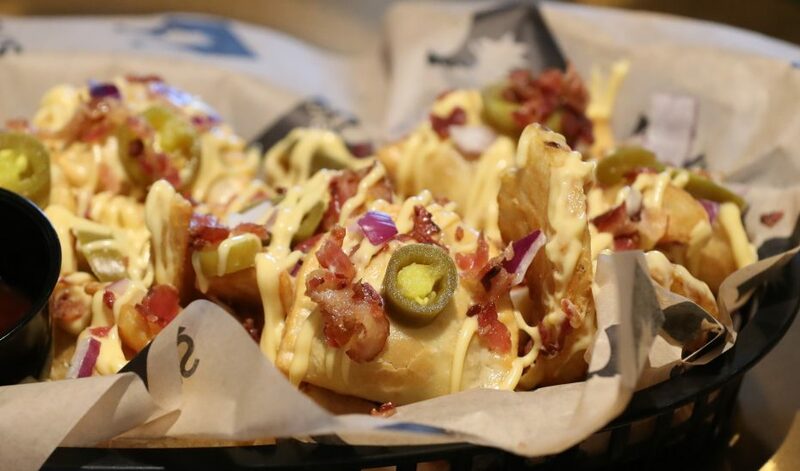 From a local standpoint, Ru's Pierogi will include two more pierogi flavors at the diamond, with pulled pork and chocolate cheesecake added to the lineup. The creamy chocolate blend - almost a pudding-like consistency - in the dessert pierogi was cleaner when eaten with a fork. Breaded jalapeno cheese bites were smaller than classic poppers, but spicy, cheesy and rather addictive nonetheless. Stay tuned for more information on the collaboration between three Buffalo breweries that will benefit Bisons fans this summer. Buffalo's Triple-A baseball season begins with a home game at 2:05 p.m. April 4 against Scranton Wilkes-Barre. See the Herd's full schedule.